Thieves is a student Point and Click computer game adventure. The main character of the game is Hook. Just out of prison, he is already planning his next theft. In this game I have taken a role as a character designer. Originally, the main characters should be represented in 3D, but we have decided to create all the characters in traditional 2D style. I’m only showing the artworks that I have done for this game. So enjoy the making of. One of the side characters is this old secretary lady from the national archive. I try to give her a really annoying looking. What you see is a simple talk animation. 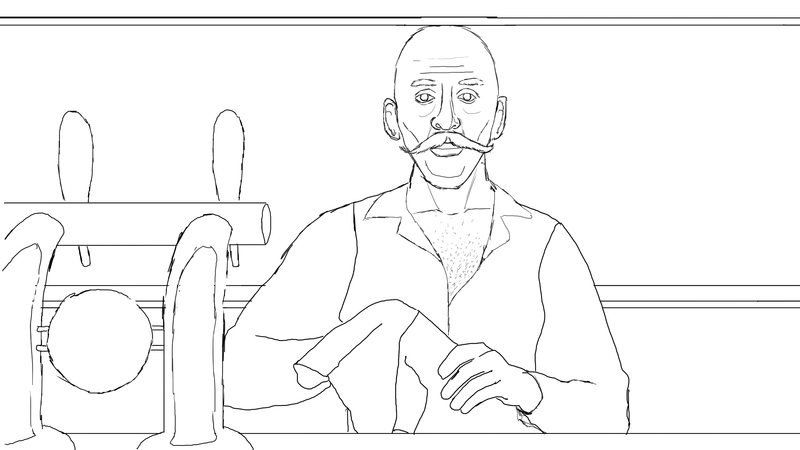 The next character is a bad mooded bartender.